Visiting wineries in Woodinville, Washington (about a half hour NE of Seattle) is like a opening bag of potato chips: You just can’t stop at one. I had planned on swinging by W.T. Vintners to check out their new releases and while I was killing time waiting for a friend, why not pop into Savage Grace? Their tasting room is conveniently located next door. 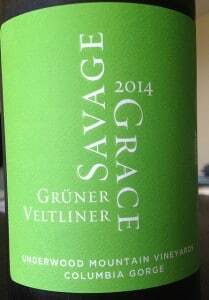 And not only are W.T Vintners and Savage Grace neighbors in the warehouse district, but their Grüner Veltliners are, too. [Note: Grüner Veltliner is Austria’s signature white wine grape.] 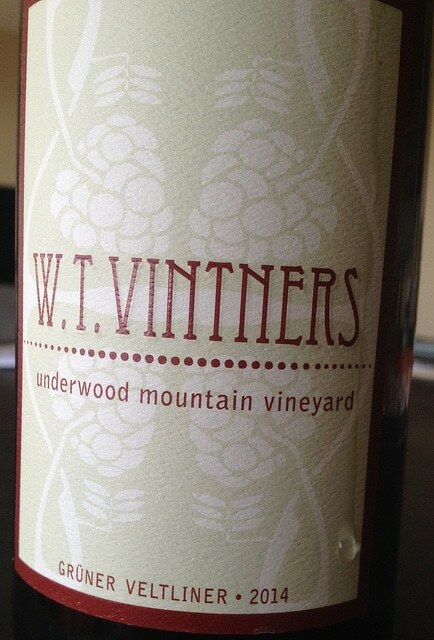 They come from the same vineyard in the Columbia Gorge: Underwood Mountain. So wouldn’t it be fun to buy a bottle of each (the freshly-available 2014 vintage), take them home, and compare the two? What, that’s not how you spend your Saturday nights? If you have a different concept of fun, I’d sure like to hear it! Damn! What up, Mount Hood? 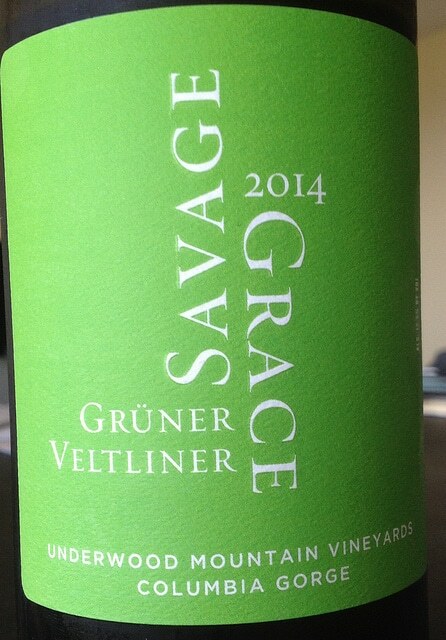 So how are these Washington State Grüner Veltliners? Let’s tackle the W.T. 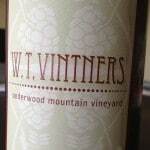 Vintners first. Oh, wait. I need to explain the photo of me. On first sniff the W.T. was very Middle Earth. Not Mordor, but rather the Shire: grass meats earth. So I thought I would give it a decant. And a violent one at that! You probably don’t think about decanting a white wine but the same holds true as for any red: air helps mellow out that cooped-up juice. I then poured the wine back in the bottle, completing a process known as “double decanting”. 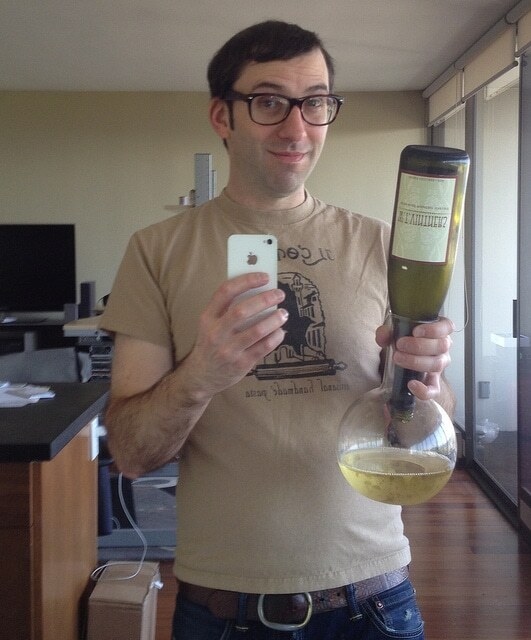 Also, I used my favorite decanter. I have three. (What?) This one I bought at Goodwill for under five bucks. So after decanting, the W.T. offers a subtle savoriness. The smell of non-fruity things. That earthiness I mention earlier. THE SHIRE. And also a little honey-sweetness. (Note: this wine is totally dry, just talking aromas here.) It refreshes and has a fresh finish, with lots of parsley and herbal garden stuff. Green smoothy-esque. But not akin to drinking plants. Anyway, you can geek out over it. 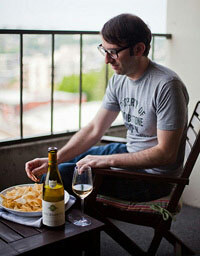 Or just crush a bottle with a friend and a bunch of springtime eats. Look for more to come from my day in Woodinville. You think that’s all I did? Now, back to online green pants shopping…. 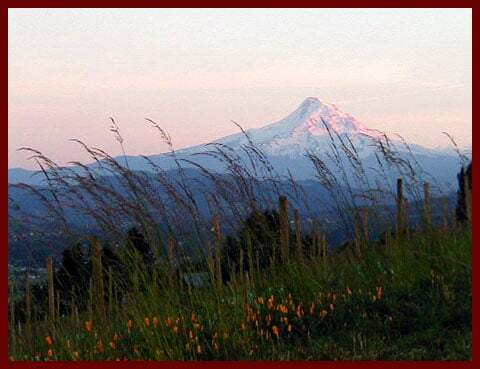 Underwood Mountain photo from the vineyard website.